Unearthing Prokofiev: Rare Works Get NYC Debut When it comes to Prokofiev's music, pianist and Yale University professor Boris Berman is the go-to guy. Along with faculty and student musicians, Berman will present newly discovered pieces by the Soviet composer at New York's Zankel Hall on Tuesday night. Hear rehearsal excerpts from the Zankel Hall concert. Sergei Prokofiev is, perhaps, one of the best-known composers of the 20th century, if only for Peter and the Wolf, which serves as many children's introduction to classical music. Symphony orchestras and ballet companies routinely program his music, but now, 57 years after his death, some newly discovered works by Prokofiev will be premiered Tuesday night at New York's Zankel Hall. 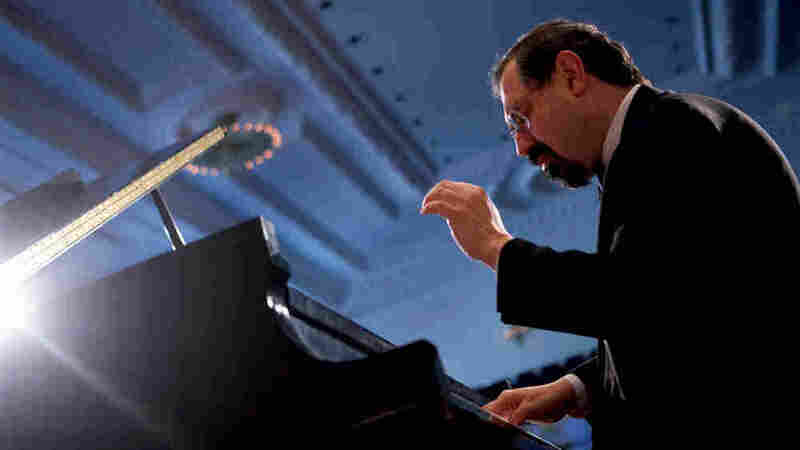 When it comes to the music of Prokofiev, pianist and Yale University professor Boris Berman is the go-to guy. He's recorded the composer's complete piano works, written a book about his sonatas and founded the Prokofiev Society of America. Still, until recently, Berman had never seen or heard Music for Athletic Exercises. The music is part of a 1939 composition, which didn't see the light of day again until 2004, when a facsimile of Prokofiev's manuscript was published. It's one of several pieces Yale faculty, alumni and students will perform Tuesday night. Berman says Music for Athletic Exercises was written to be performed on a grand scale. "There was a project of putting on a huge athletic pageant on the Red Square in Moscow in the summer of 1939, which would involve thousands of athletes from all over the Soviet Union," he says. Berman explains that V.E. Meyerhold, a famous Russian director, was hired to stage this extravaganza, but one morning he didn't show up to work on the piece. "Nobody could find him," Berman says. "He was arrested, as was the habit in these years of the Soviet history. He was arrested, imprisoned and subsequently shot to death." Traumatic as it was, Prokofiev finished the piece. Tuesday night's concert will sample music from various phases of Prokofiev's career. The 1924 ballet Trapeze is also featured, and includes two recently discovered movements. Prokofiev rarely let any of his music go to waste, and he used sections from it in other pieces. But a London musicologist found the original sketches, and the whole ballet has been put back together. "The music of the Trapeze is an excellent piece," Berman says. "It is the great example of a modernist Prokofiev. Prokofiev who experiments, who does not feel restricted, does not shy away from unusual sonorities, from dissonances." Perhaps one of the most intriguing pieces in the concert provides a taste of a composition Prokofiev never finished. It's a 20-minute fragment from an opera he started writing in 1948, called Distant Seas. Berman says Prokofiev's sketches were discovered in a Moscow archive. "I don't think anybody knows why he decided to walk away," Berman says. "He simply got entangled in other projects. In fact, in his last year, he contemplated coming back and continuing and completing this work, but he died before being able to realize this project." Berman says that 1948 was a tough year for many Soviet composers, Prokofiev included. They were repeatedly criticized and denigrated for writing music that was not to the "taste of the masses." What that really meant was that the music didn't fit the ideals of government officials. To get past the censors, Berman explains that Prokofiev found a silly comedy of errors, by a minor Soviet playwright, about three marine biologists and their romantic entanglements. "So it's all this kind of light stuff, and rather insignificant," Berman says. "However, Prokofiev managed writing a really charming piece; tuneful and very personal. Yes, it is not one of his great works, but on the other hand, there are these nuggets of gold, which will bring delight to every music lover and every lover of Prokofiev's music." Boris Berman and his Yale colleagues will present "Prokofiev Rediscovered" Tuesday night at Zankel Hall in New York City.